Josh Funk (joshfunkbooks.com) lives in New England with his wife and children. 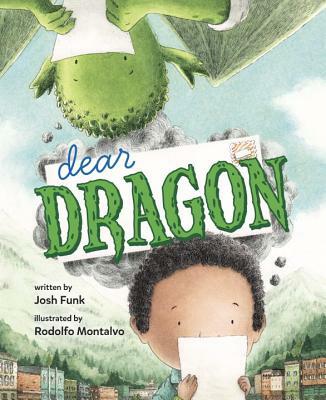 He has never had a dragon as a pen pal, but he once wrote a letter to Corduroy (and sent along a spare button). He's the author of the picture books Lady Pancake & Sir French Toast, Pirasaurs!, and more. Follow him on Twitter @joshfunkbooks. Rodolfo Montalvo (rodolfomontalvo.com) grew up in Long Beach, California. He received a B.F.A. in illustration from California State University, Fullerton. He has illustrated children's books including The Contagious Colors of Mumpley Middle School and The Amazing Wilmer Dooley, both written by Fowler Dewitt. He currently lives with his wife in the Los Angeles area. Follow him on Twitter @RMontalvo3.